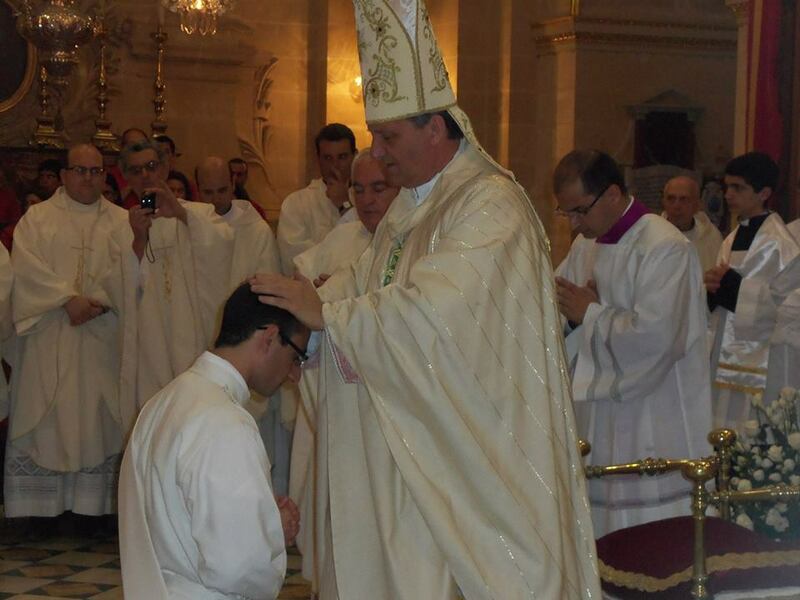 Deacon Daniel Sultana of Xagħra who spent a few months working in our parish was ordained to the Catholic priesthood on Friday the 30th of May 2014 at the Cathedral Church, Victoria, Gozo. During the homily Bishop Grech emphasised the importance of the priest as a sign of reconciliation within the community. Parish priest Can. Reuben Micallef concelebrated; a few altar servers from the parish in Żebbuġ also took part in the liturgy.